This entry was posted in Penalty Updates, Web Design Posts on by Seo Tuners. There are always times – dire times, but these exist for everyone - when a website needs to take a few hours or days of me-time. That’s not so much personal time, as it is maintenance time – time for you or your webmaster to make important changes, fix graphical errors and grammatical mistakes, use a Penguin recovery service from SeoTuners, update outdated information and generally polish the website up to be a bit better than it was yesterday. One way or another, simply disappearing off the face of the Earth or cutting off all information on your site is a bad idea for two simple reasons: 1.) you’ll alienate visitors by presenting them with absolutely nothing when you’ve promised them content, and 2.) Google will still crawl your page if you’re not careful, and rank you according to your nonexistent, downed page. The HTML 503 error is a rather common one you may have encountered several times throughout your surfing life, and it specifically refers to an “Unavailable Service” as per Lifewire. Be sure to offer both some type of interstitial or temporary maintenance site (and perhaps a pop-up) and a 503 error. In your site’s robots.txt file or through a robots meta tag, you should be able to add a quick clause that tells Google there’s nothing worth crawling here at the moment as per Google. This is down through a “disallow” directive in the document itself. For regular users of your service, there’s nothing quite like unannounced maintenance. Most people can live with being slapped with a 503 on a nonessential service as long as they get a succinct and rational explanation through Facebook or your mailing list. 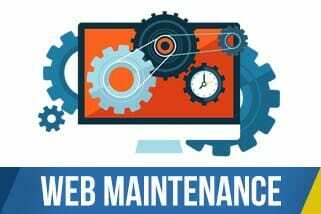 No matter how you choose to announce the maintenance, it’s important to do so at least about a business week in advance and with the right explanation – regular maintenance, site update, etc. As long as you keep your customers in the loop and Google happy, taking your site off for a day shouldn’t hurt you at all.